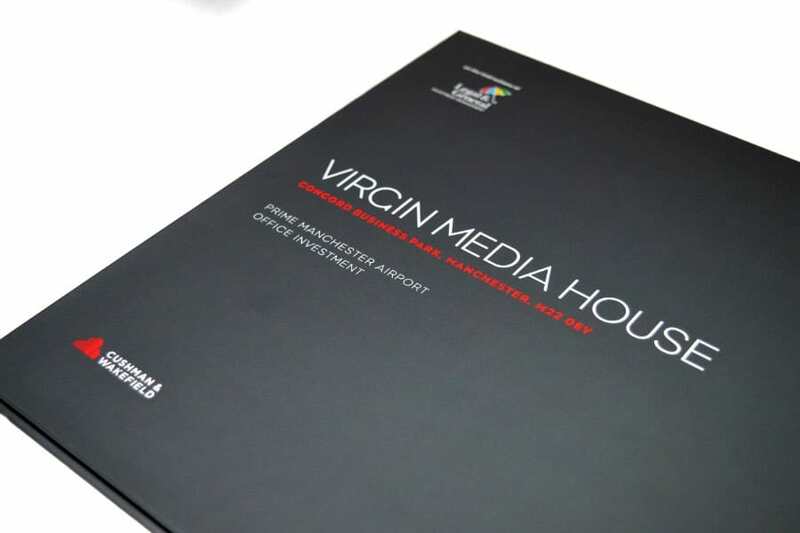 Virgin Media House is a prime Manchester airport office investment opportunity. The property is situated on Concord Business Park, one of Manchester’s prime office locations. It is a modern, flexible and divisible headquarters style, 3 storey office building measuring 110,553 sq ft on a 7.83-acre site. The development is in one of the most vibrant and exciting cities in Europe and is part of a thriving business and leisure economy. Leading global real estate agents, Cushman & Wakefield needed an innovative creative agency they knew would execute a perfectly devised new marketing strategy. Having worked with Creativeworld on a host of high profile ventures, Cushman & Wakefield were confident that Team Creative would deliver. 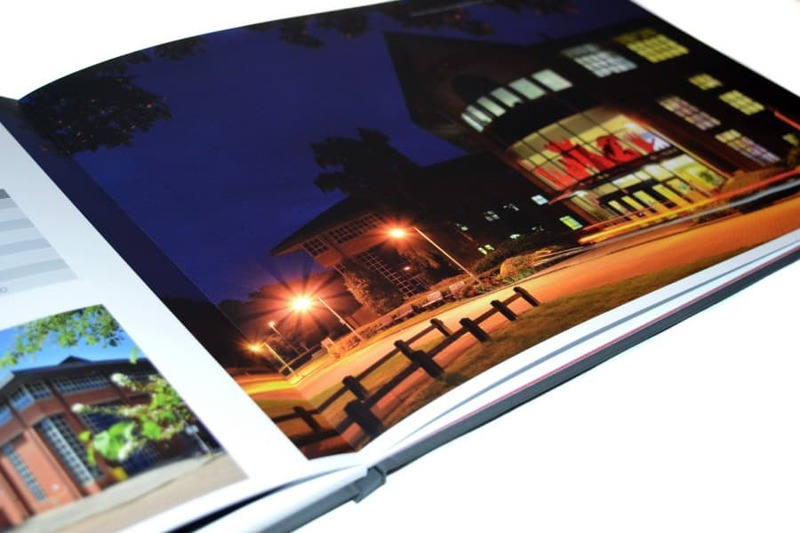 This opportunity required a unique new brochure to match the high specification development; this included a soft touch laminate and spot gloss UV varnish to the outer casebound cover, plus a spot uv varnish on the endpapers. 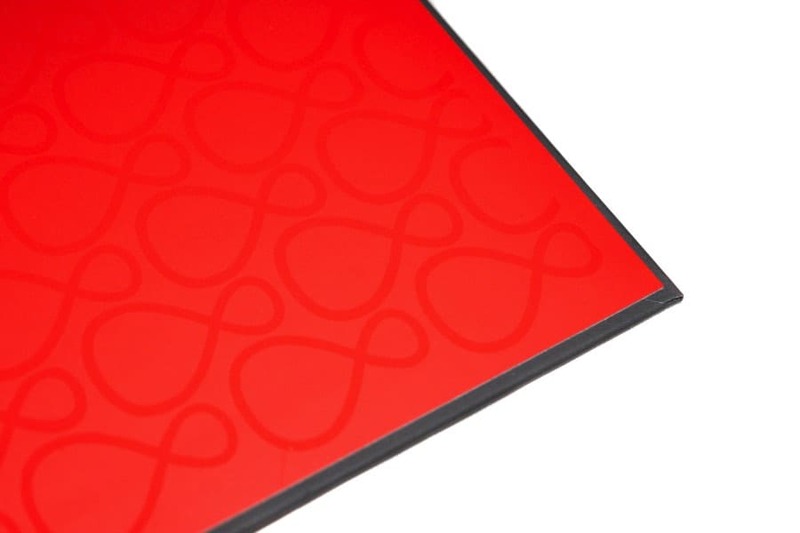 The inner pages were printed in four colours and a specialist layflat binding technique was used to create a high-quality finish. We also supplied the bespoke photography which included aerial, internal and external shots, all of which perfectly captured the modern, high end development that is the Virgin Media House.